Does your keychain look like this? You need to clear the clutter and make things easier for yourself. You need to start using the application called CardStar. I use the application on my iPhone so that I always have the numbers of all of my store membership cards. It stores my Giant Eagle card number, my AAA number, my gym membership number, my Kroger card, etc. You get the idea. And the best thing, it also provides a barcode for each number so that it can be scanned at checkout at a store or check-in at the recreation center. I don't have to remember my cards, or hope I haven't given them to my daughter to use. 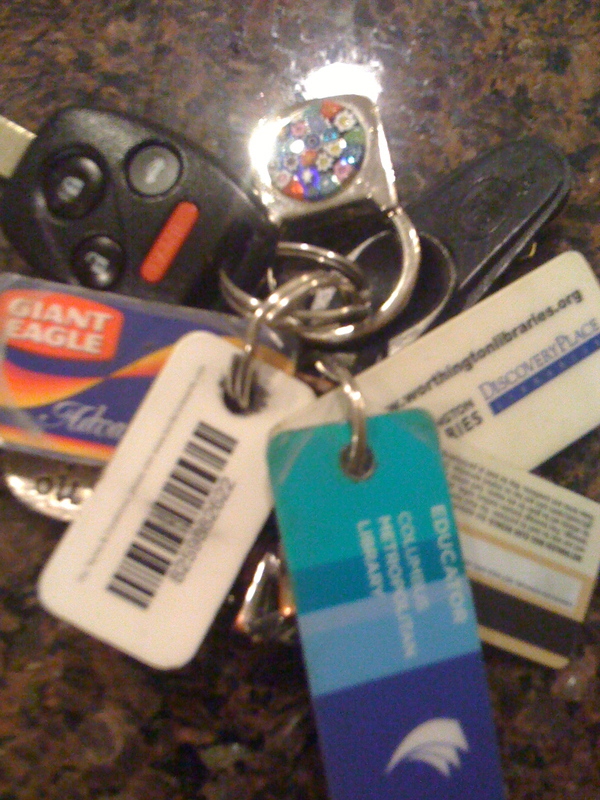 So, if your keychain is unbearable, or those cards are just mangled, clear the mess. 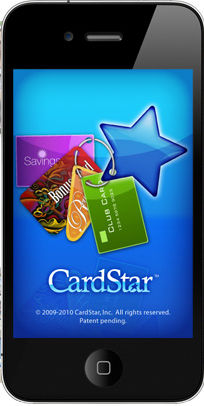 Download CardStar and start using your phone or iPod to store those membership numbers. You will always have them with you and be able to take advantage of member discounts and gas perks. I know my application has saved me a lot of money and time. The only place I have found it to be a problem is at the gas pump, because their auto scanners won't read the phone screen. That is such a small problem for such a nice convenience. This application also allows for you to store information about the different cards. You can store phone numbers, addresses, web addresses, as well as other notes. I think this application will be well worth the few minutes it takes to add the number (it creates the barcode) for the different company cards that you register. Scott, I found this app available in the Droid Marketplace as well. I can't wait to give it a try.